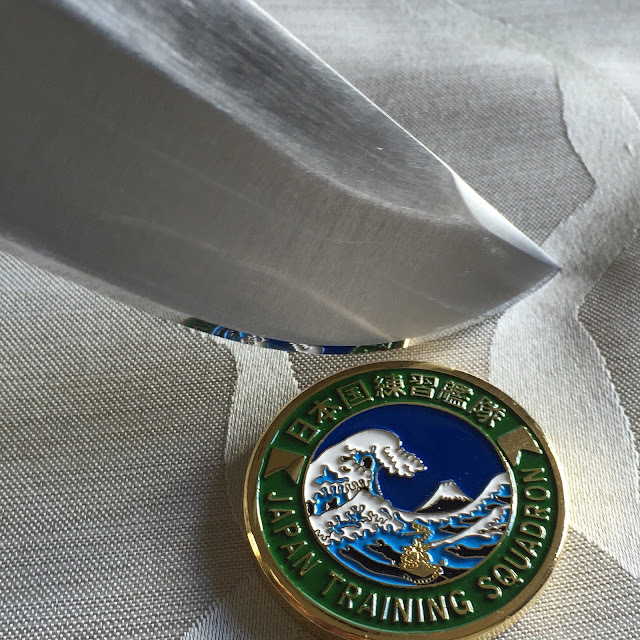 Knife Sharpening Using Traditional Methods: Polishing things up. There was a time when I felt the need to put a highly polished edge on every single knife, I mistakenly felt that it meant sharper, it doesn't but I admit that it looks nice and it takes some practice and the right stones. 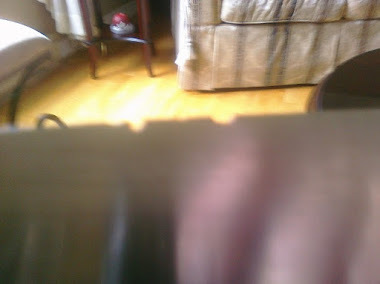 On a side note, you may have heard that a highly polished chef knife for example will not be able to bite into a tomato, it will simply slide over the tough skin as there is no bite to the edge. This is not true, not in all cases. If the edge is sharpened well enough, where the two sides of the blade are brought precisely together at the Apex and that meeting of the two sides continue along the entire edge, that edge will slice into a tomato like you wouldn't believe, regardless of the finishing stone used. I have tested many many times. 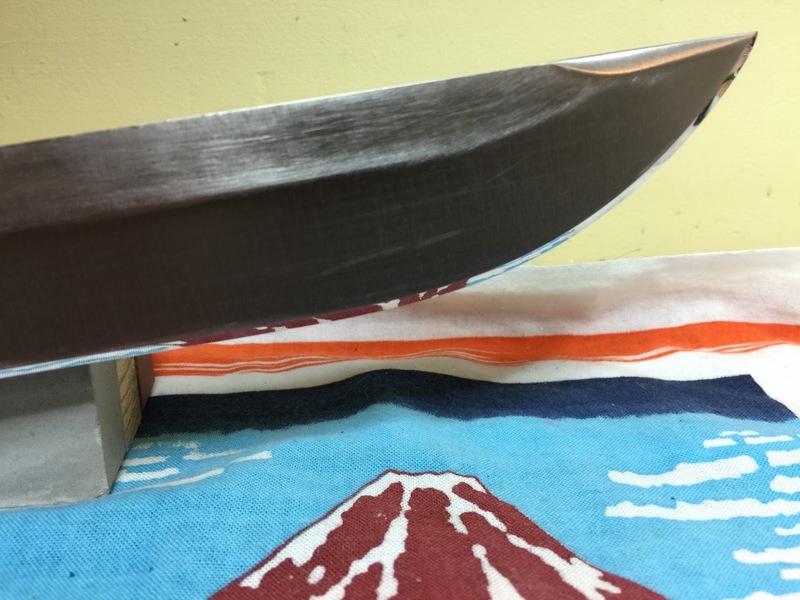 As well, I have seen many brand new knives from Japan with an 8K finish that do this easily. Back to the polished or mirror edge, it seems like a rite of passage for some sharpeners, something we all need to try. I will do my best to tell you how I do it, not that my edges are perfect mirrors but they are okay and I have learned a few tricks. 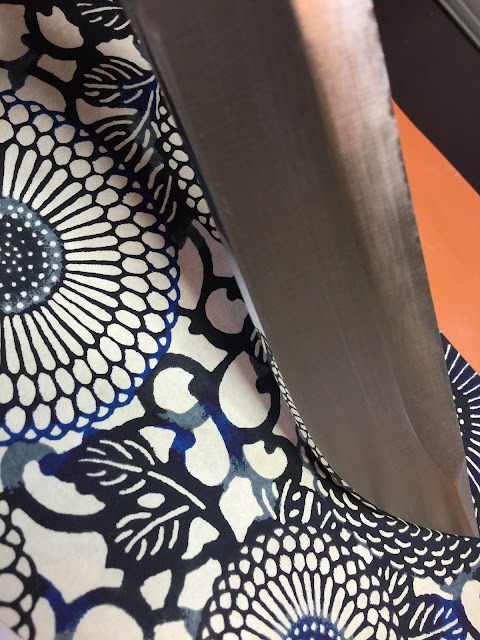 I have done this freehand and with the Edge Pro but I will admit that using the Edge Pro is easier if you want to create a highly polished edge. The precision it delivers lends itself to truly uniformly polished bevels and edges. I have no experience with the Wicked Edge Precision Sharpener so I am not qualified to talk about. However, I imagine it to have the ability to do a fantastic job on these knives, I'd love to try it someday. This is what I do and again, results will vary but there are some key points to remember and I used the EP for the knife in these photos. Here is what you need, or at least here is what I used. SP 320, Naniwa Chosera 1k, Shapton Glass 2k, Naniwa Chosera 3k, Shapton Pro 5k, Naniwa Chosera 10, Shapton Pro 15k. By the way, I have done this with the stock stones, the 220, 400, 600, 1,000, 1200 and then the tapes, they did an awesome job. I just don't have any. I cut up my worn down full sized stones to use on the EP. The Canadian dollar is terrible now so it is less expensive this way but I fully endorse the stones that come with the system. I suppose I could do another article on my impressions with the EP stock stones in comparison to the Chosera stones for example. Suffice it to say that I guarantee that you can get your knives absolutely, incredibly sharp with the stock stones, I never had a problem with them at all. Don't be discouraged if you don't have these, just use what you have, including the EP Stock Stones but you do need something above the 1k grit to get that finish you are reaching for. Also, this knife took about an hour, it was in rough shape though but you are in for a bit of a long, patience testing session......it's all good stuff. The first step for me was to use the Shapton Pro 320 to set the bevels, get them all uniform and get the knife sharp. This was easily the longest part of the project. Also, I use a lot of water, I am constantly dipping the knife in water and keeping the stones nice and wet. 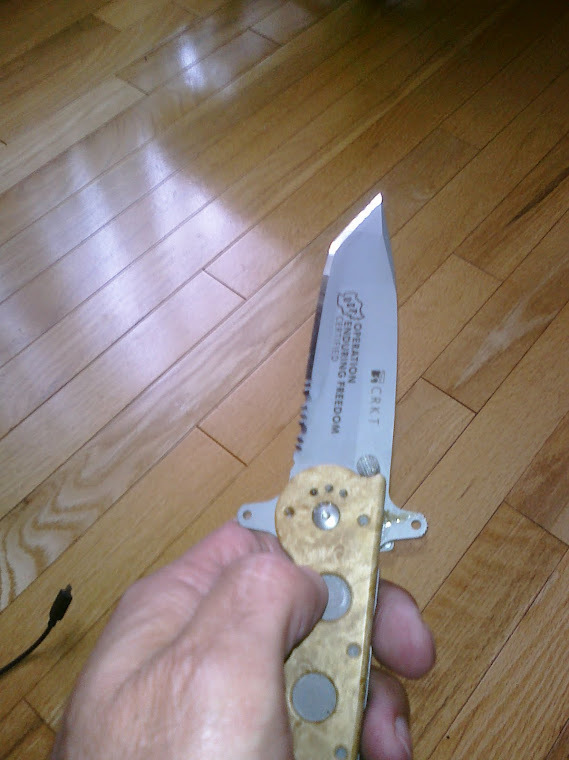 I am trying to remove any grit that may keep scratching the bevels. So my patience was really tested here and I did put it down for a bit. Again, the knife was in rough shape so I had to get everything set up in terms of the bevels so that they would accept this level of refinement. What I mean by that is when you are shooting for a mirror finish, uniformity is important, the removal of the scratches from the stones on the bevels is easier to achieve if everything lines up nicely, if the stone comes in contact with the bevels evenly. 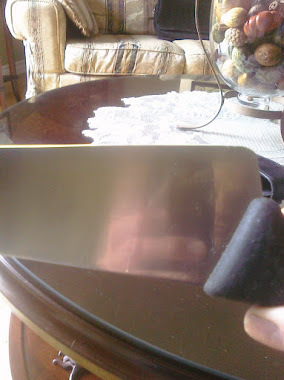 At 320 grit, you won't get a polished edge but it can look pretty nice and it can be very sharp. Pressure is very very important here, you don't want to be grinding away for this amount of time with heavy pressure, once the burr is formed then ease up, you are refining here, so lots of water and a lot of focus on pressure and keeping it gentle. Once you are happy, move up in grit and continue the cycle with very light pressure. Remember, no need to raise a burr here, you are just refining and polishing and you continue with lots of water. As I type I realize that I should have taken pictures of the bevels at every grit so the next time, the next folder I get, I will do that. I will say though that every time I do this, the polish really starts to pop out at the 3k grit level. In fact, I have stopped often after that. You need patience here on each stone, it's cool to see the bevels become more and more polished but don't jump to the next stone until you have done your best to remove the scratches from the previous stone. Again, don't be discouraged if you bevels don't look highly polished. Making the knife sharp is far more important and you may not have all the stones necessary so despite your best efforts you may be limited by your sharpening supplies. Also, don't think that all the pictures you see of mirror finishes are perfect mirrors. Mine are not always, I can see micro scratches in the bevels at times, under certain light. 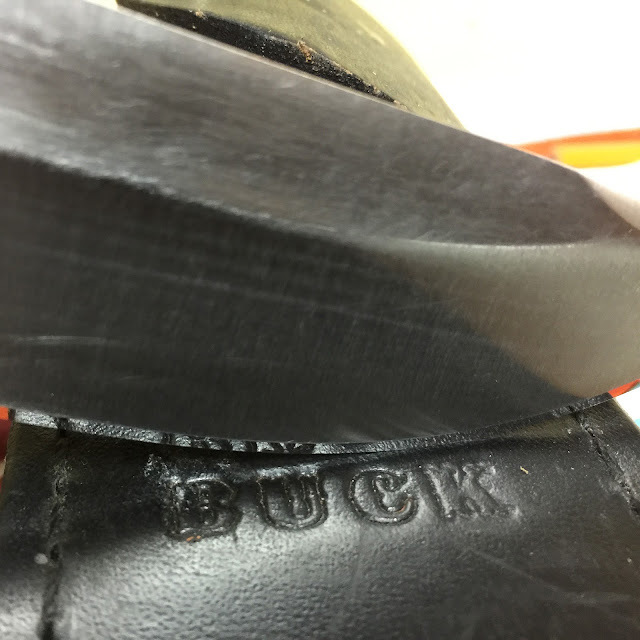 Now this knife is also exceptionally sharp so keep that in mind folks, sharp first, get that down before you concern yourself with polished edges. I know that they look nice and they do and they are fun to do. Bottom line: uniformity is key, maintaining the angle throughout the process, monitoring and adjusting pressure, being patience and resisting the urge to jump to the next grit before it is time. When you see the scratches in the bevels start to disappear, keep it up until they are gone or close to it and use ridiculously light pressure. 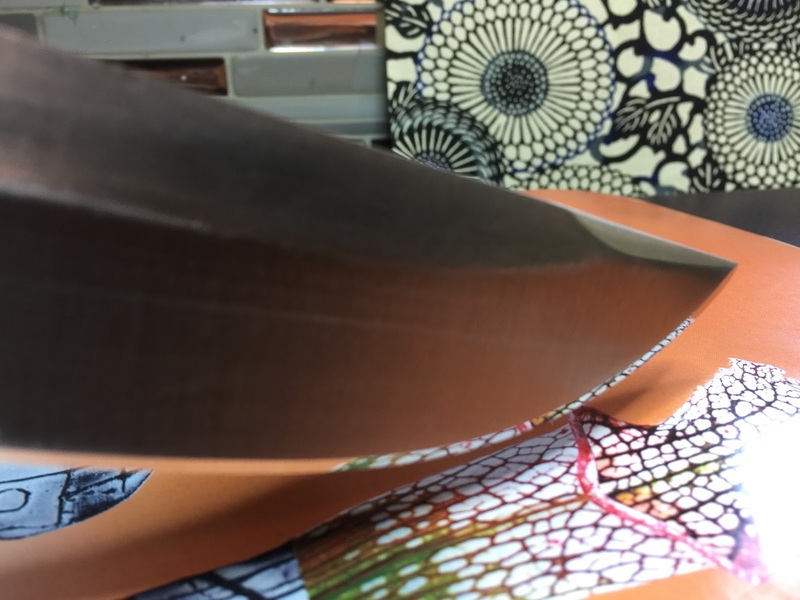 The photo below is one I had on m Blog earlier, the knife on the right was done on the EP and the one on the left by hand. Polished bevels on black blades look pretty cool.